Leading Hollywood Celebrity Booking Coach Is Coming To Your City! 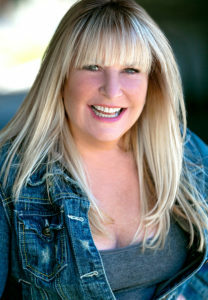 Hollywood Celebrity Booking Coach Amy Lyndon, author of the world-famous The Lyndon Technique: The 15 Guideline Map To Booking, will be visiting your city to help Actors achieve their dream of success. With 48 Network Series Regulars & counting, 1000’s of working actors around the globe, plus an Emmy Award Winner and an Imagen Award Winner under her belt, Amy Lyndon is Hollywood’s most renowned secret weapon. An impressive list of Actors are indebted to Amy and The Lyndon Technique for playing a large part in their success. To name a few; Emmy Award Winner Christel Khalil (“The Young and the Restless”), Imagen Award Winner Carlos Pratts (“McFarland, USA”), Adam Brody (“The OC”), Nadine Velazquez (“SIX”), Raini Rodriguez (”Austin and Ally”) Hosea Chanchez (“The Game”), Olivia Stuck (“Kirby Buckets”), Lauren Taylor (“Best Friends Whenever”), Paris Berelc (“Alexa & Katie”) and Chris D’Elia (“Undateable”). Amy will show you how talent alone cannot, and will not, help actors achieve their desired success! Everyone attending will walk away with firm Tools For Success. For any Actor, a visit by Amy Lyndon to your city is one opportunity that cannot be missed. Expect Amy to always present an exclusive, intense and comical insight into the life of a Hollywood Celebrity Booking Coach, give expert information regarding the Philosophy of Booking Acting Jobs, touch on How To Market Effectively and teach her famous 15 Guideline Map To Booking Technique. Amy Lyndon’s rich and varied career both in front of and behind the camera has given her a profound appreciation for the work that goes into being successful. She took her first steps to become an Actor at age 10. At 16 she was traveling by train to study in New York City at The Neighborhood Playhouse, at 17 – Shakespeare at The London Academy of Performing Arts and then went on to earn her BFA from Syracuse University’s Conservatory Drama Department. Her early days as a professional performer in Los Angeles, Lyndon studied with masters Stella Adler and Harry Mastrogeorge, as well as training in comedy and improvisation at The Comedy Store, The Groundlings and CBS On The Lot. As a former Talent Manager and CEO of Gold-Levin Talent for 9 years – Lyndon has most certainly been around what would be considered the cream of the crop in Hollywood. With all this and so much more, Amy Lyndon is truly one unique expert and clearly on the top of her game.